So, What’s a Salsa Kit? It is not important to everyone – and that’s perfectly alright – but I get a great deal of personal satisfaction from growing, preserving, and cooking many of the foods that we eat through the year. Although our freezer space is limited, and I cannot put up dozens of these, one of our favorite ways to preserve a God-provided abundance of tomatoes and peppers over the last several years has been the “salsa kit.” This collection of ingredients common to our favorite fresh salsa gets frozen and vacuum sealed, then popped back into the freezer for preparation later. 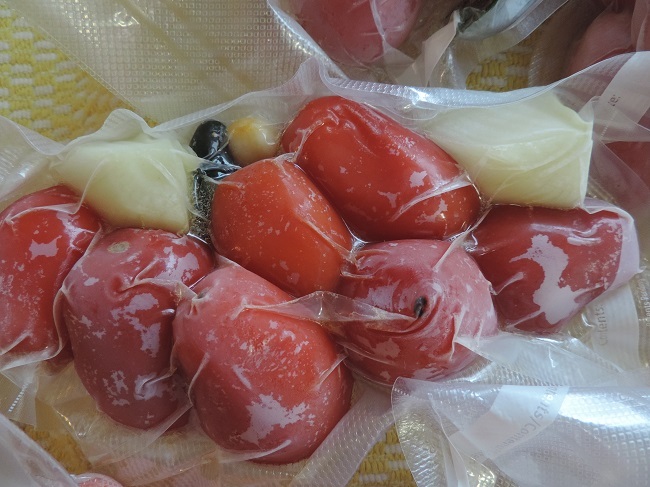 (I freeze the kit IN the unsealed bag, then seal the kit – this helps the vegetables to hold their shape). For us, each kit contains fully ripe tomatoes, bell pepper, hot pepper, onion, and garlic. What peppers we use varies, depending on what we have ripening at any given time. If I don’t have any bell pepper on hand, I will occasionally pack a kit without it and buy a bell pepper at the store when I know I am going to use the kit. Most of our kits are made with Early Girl tomatoes, but we also use Romas. Because most of the time there are just the two of us, we make a small kit. You can make them whatever size fits your family or entertaining needs. This year, for the first time, I made several of the kits with the Sun Gold cherry tomatoes we grew. This single plant has produced an astounding quantity of larger-than-average, candy sweet fruit – much more than we can possibly eat. Some of them end up sliced and dehydrated – excellent – and the rest have ended up in the salsa kits – or directly into the mouth from the garden! To prepare the salsa, I empty the contents from the vacuum bag into a cake pan with some olive oil (you can use your oil of choice) and a splash of lime juice, then roast the vegetables in a preheated 350º oven for 30 minutes or until you achieve the doneness you prefer. Once the components are finished roasting, pull the pan out of the oven and let it cool a few minutes; then toss it all in the blender with a little more olive oil and lime juice, cilantro (either fresh or dried) and whatever spice seasonings you like in your salsa. We keep ours pretty simple and usually only include a little salt and pepper. 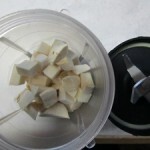 Depending on your blender, you may have to cut the onion, garlic and/or peppers into smaller pieces before blending. These kits can also be used to make a quick tomato sauce for Spanish rice or a pasta dish – or it makes a marvelous, flavorful tomato soup on a cold winter day. Yum! Salmon is good for you, most nutritionists will agree. We only buy U.S. wild harvested salmon for our family; you should research and make your choices based on the information available. Because we’re on a budget, as most of you probably are, we try to catch Alaska wild-caught salmon on sale at the local chain grocery store and buy it in bulk. Having lived in Alaska for many years, we’re pretty good at vacuum sealing packages of salmon for freezing. Perfectly cooking salmon involves having pieces of a similar size and shape packaged together, which typically leaves some thin ends and trimmings. I package those together and label them “Salmon Scraps” to be used for a salmon “salad” or dip like we did this week. You can cook these scraps in a variety of ways, but I typically toss them into a little coconut oil in a small cast iron skillet and stir them until they are done, but not overdone. 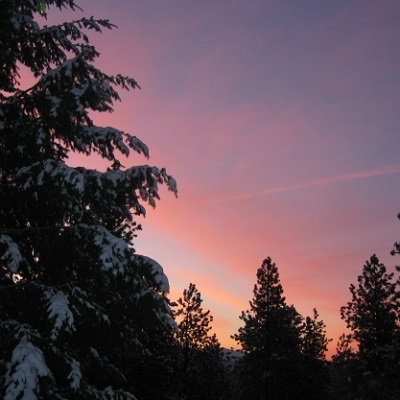 This can even be done a day or two before you intend to serve it, because it will be a cold preparation. Although I vary my recipe from time to time, I typically break up the cooked, cooled salmon in a bowl and add finely diced onion and celery, along with whatever spices we feel like at the time. Sometimes we make it with homemade mayonnaise, and sometimes we take the easy route and use ranch or bleu cheese dressing. Most of the time, we use some kind of spicy seasoning and lemon pepper. Thyme, basil or dill can be substituted successfully. In the case of our last “batch,” we ate it for lunch with toasted thinly-sliced bread and homemade cream cheese several days ago. There was a small bowl left, which I saved and today added a finely chopped hard-boiled egg and fresh-picked jalapeno pepper to make it stretch for the two of us for a light lunch. We served it with crackers, avocado slices and sliced fresh orange. Who would have thought that the “ugly” scraps of the salmon filets would provide so much delicious nutrition? Stewardship of God’s provision includes using every bit of food that we can to fuel our bodies for His service – and to waste as little as possible by planning ahead. Hashbrowns, made with 75% garnet yam and 25% red potato, pre-cooked with fresh ginger, red bell pepper and sweet onion, create the nest for avocado halves (nesting them in this way helps to keep them level for your eggs). A few minutes under the broiler to get the egg whites cooked through completely, and you are ready to dish up sunshine on a plate! We commonly use zucchini, rather than red potato, but I forgot to get some out of the freezer before I started preparing our “fast real food.” Sweet potatoes work just as well, if that’s what you have on hand. A few turns on the pepper grinder finish it off with multi-peppercorn goodness. We are blessed to be able to buy farm fresh eggs from friends all year long, and this is one of our favorite ways to incorporate them into a healthy, real-food eating plan. Filled through and through with healthy fats, vitamins and minerals, moderate carbs – and great taste – this dish is easy to make and a joy to eat! Thank you, Lord, for your abundant provision and the knowledge we have available to us to eat healthy foods. Yesterday evening seemed to be the perfect time for the two of us to enjoy a fruit smoothie with our evening meal. Bananas that were still good, but too far gone to enjoy “plain,” were in need of a useful solution, so we chose to make smoothies. One of my favorite kitchen tools is the Magic Bullet. It is so easy to make each person his or her own smoothie to drink right from the mixing cup. We use this powerful little blender for many tasks, including making our 4-ingredient “mocha mix” for first cup of coffee in the morning, homemade mayonnaise, and pesto. Two “cubes” of frozen grape juice (our own grapes), 1/4 of one of our last stored fall pears, half a very ripe banana, and about 1/2 cup each of homemade yogurt and apple/cranberry juice went into the mix in each “mug,” along with cinnamon and honey. Keep in mind that honey, when mixed with frozen grape cubes, will become hard to blend. Agave syrup or some other natural sweetener might have been a better choice! It is common for us to use grapes and bananas together for smoothies, then add whatever else we happen to have on hand for the remainder of the fruity flavors. Because of seeds, we typically do not use berries unless we have strained the seeds out. This is a personal preference, and berries do add wonderful flavors and nutrition to smoothies. In processing, I use the cutting blade first, then the blending blade to finish it off at its smoothest. And who cares if a little honey is stuck to the side in the end? You can always peel that off with a spoon for your last bite! If smoothies are not in your regular eating plan, please consider adding this nutrition-packed drink at least occasionally. Kids love them, and there is really no downside to making them! 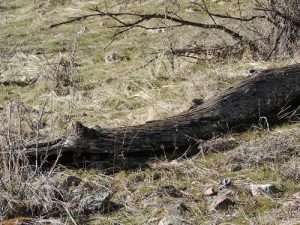 Today’s post is a partial re-post from a 31-day series written last year on my Puttin’ in Time on the Rockpile blog. Because it is time to process this year’s horseradish crop, I felt it was timely to re-introduce the information in a new venue. Our whitetail buck for the year is already chillin’ out to be packaged tomorrow, so hunting was out and processing horseradish root was in today. 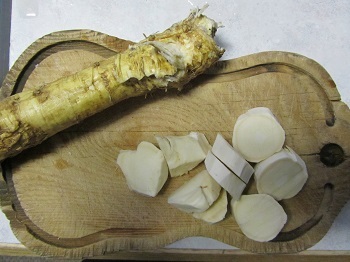 Horseradish has been used medicinally for centuries, for everything from appetite stimulation to liver detoxification. 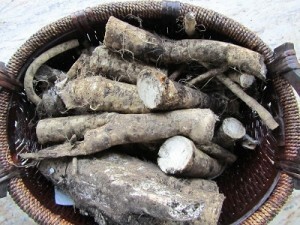 Unless you are allergic to it, there is much evidence that incorporating horseradish root into your diet is a good thing. We also use the smallest, new leaves in pesto and have even dehydrated some of the small leaves to use in soups and rice dishes. The first year we grew horseradish, we got ½ cup of finely ground root. The second year, our crop ended up being three full cups of ground root. 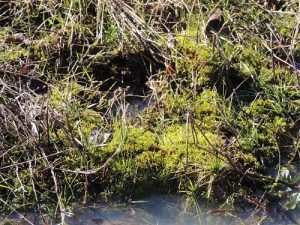 January came along and we were already out! Last year and this year, we have a tremendously abundant harvest of horseradish, and I began grinding this year’s crop today. For the first time ever, we are going to wash and vacuum seal some sections of root, peel on, to grind later and see how that works. 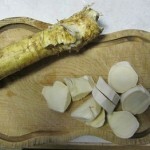 Working with horseradish is almost like making pepper jelly – pretty hard on the sinuses! Because I like to have the grind on horseradish be very consistent and very fine, I use my Magic Bullet for the grinding. There are several options for this type of powerful mini-food processor if you don’t already own one. We chose the bullet because one of our sons had one and it was working very well over a period of time. Look for bargains, but be sure to buy a new one in its original packaging. Most of my horseradish roots this year ended up being 1” to 2” in diameter. I wash and peel the root, then slice off just over ¼” slices on a cutting board and cut those into four pieces. 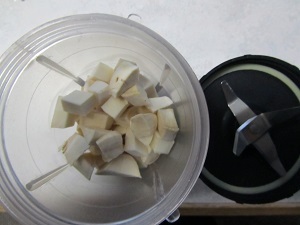 Doing this keeps you from having any long fibers to jam up the blades on the food processor. It is important to pulse the root pieces until they are fairly consistently ground, then finish it off with 30 seconds or so of continuous grinding. Slicing them across the grain is a lot of work, but it is so worth it if you care about consistency in your end product. Vacuum sealing and freezing ground (or whole) root is fairly new to us. 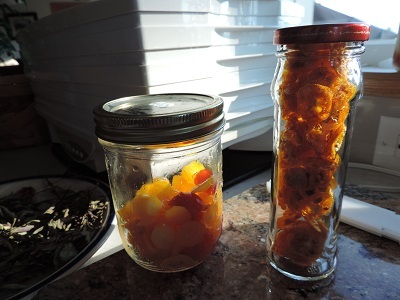 Initially, I simply put the ground root in glass bacon bits jars and put in about a tbsp. of lemon juice, then froze it. When I would empty a jar, I would take another out of the freezer and put it in the condiment bin in our refrigerator. With plenty of bacon bits jars on hand, I will freeze some that way and vacuum seal the rest. My very helpful husband is the one who suggested vacuum sealing some whole and unpeeled so that it can be “fresh ground” later on. It is certainly worth a try! 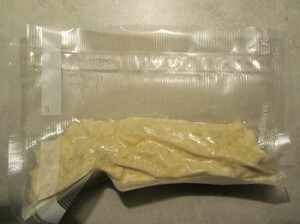 Keep in mind that there is quite of bit of liquid in fresh horseradish root, so you will need to set the filled bags in your freezer (upright, so they don’t spill out) until frozen, THEN vacuum seal them. We attempted to replant our horseradish root in a new location last year. The newly planted area progressed slowly this year, but we could not eliminate it from the old location. 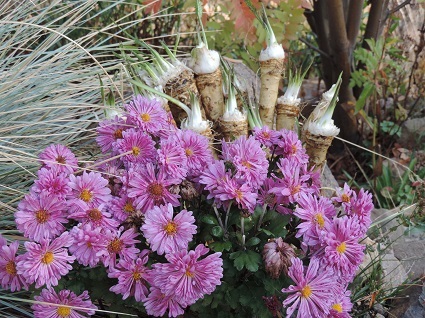 Be sure to NOT plant horseradish where you don’t want it forever. Apparently the only way to get rid of it is heavy-duty weed killer, and we do not want to use something like that in our rock garden, so we will now have horseradish growing in two locations! To combat the “weedy” look, I cut the leaves off (you can use a few of the new, little ones in pesto) and tossed them in the compost pile every couple weeks. Tomorrow will be a great time to pick the rest of the lemon thyme and get it in the dehydrator! I just read yesterday that thyme was “good medicine” for many health issues, not just a great seasoning. About halfway through last winter, my sweetheart and I ran out of cranberries in the freezer. Because we love to make a cranberry “compote” to put in our oatmeal, this was a serious problem! This year, we will be better prepared for a long winter of oatmeal and other cran-goodness. Pre-Halloween, stores already have cranberries in the produce section; and we have purchased several of the largest bags available to vacuum seal and freeze. Because not all of the cranberries in any given bag are perfect, be sure to sort through them and remove any spoiled or drastically under-ripe berries. It is obvious that they pick all berries on the plants at the same time – they range from not even beginning to be ripe all the way to so ripe they are beginning to rot. We chose to pack two-cup servings. This seems to be just the right amount to pop into a skillet with some homemade butter, honey and cinnamon. We fry them until they are soft, but not totally mush, to serve in oatmeal or on a chef salad. To prepare the sorted berries for vacuum sealing, we put them in water in a two-cup Pyrex pitcher for a few minutes, then rinse and drain them in a colander. 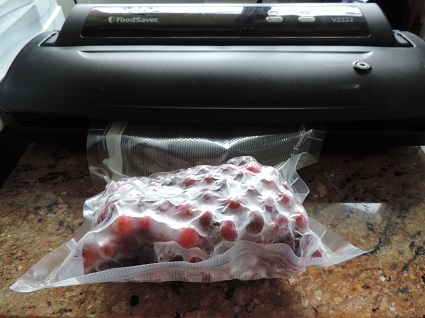 I always put the berries in the vacuum bag and freeze them prior to sealing the bag. This eliminates any problem with liquid from the berries pulling up to keep it from sealing. 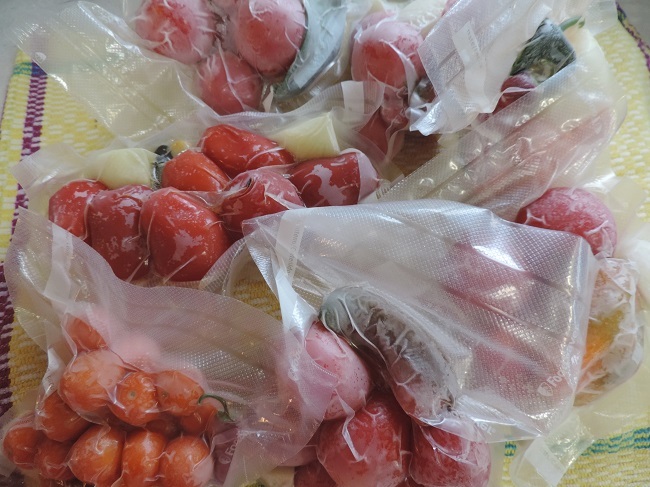 If you don’t own a vacuum sealer, you should be able to seal them in zippered freezer bags (make sure you squeeze as much air out as possible before the final seal) or wrap them in plastic wrap and then waxed freezer wrap for long-term storage. 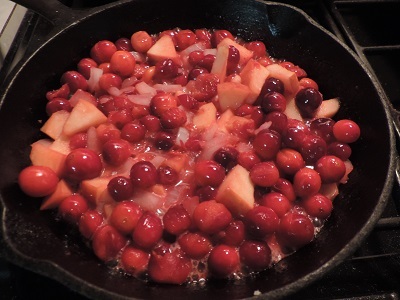 Another favorite way to serve cranberries (we did this just a few days ago to serve with a smoked pork tenderloin) is to include diced apples and sweet onions. You can even add cayenne or jalapeno if you “like it hot” for a savory application like serving with meat. What am I going to try next with cranberries? We thoroughly enjoy making a compote of rhubarb and homemade hot pepper jelly. It would seem to me that cranberries and homemade hot pepper jelly stir fried in butter should be equally as good! And don’t forget – your side-by-side refrigerator/freezer was not designed for long-term storage, especially if it is self-defrosting. Self-defrosting freezers get defrosted via dehydration. While it is dehydrating the frost in your freezer, it will also dehydrate your stored foods. This is not to say that those who are ill or sickly cannot minister to others or serve the Lord in various capacities. Of course, they can! However, if we have the option to be well and whole, why would we choose to neglect ourselves, either physically or spiritually? Something to think about! We all make choices that effect our environment, our food intake, our exercise and our mental fitness. Those choices should be the most informed, most God-pleasing choices we can possible make. To do otherwise is to limit ourselves! Sliced uniformly for even drying time. When I discovered this summer that one of the plants I bought that I believed was a Roma tomato was actually a Yellow Pear, I was understandably disappointed. Romas are my staple for tomato juice, and Yellow Pears tend to sprawl and take over the garden (I had purchased ONE Yellow Pear tomato plant and this gave me two). 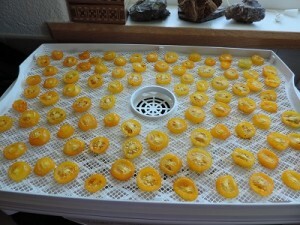 But – I had all these YellowPear tomatoes, and God frowns on people wasting perfectly good food, so I decided to dehydrate some of them in little rounds like I do my Juliette’s. Little did I know that they would come out tasting like sweet yellow candies – how cool is that? Because drying this type and size of tomato works best without ends (I do the same thing with Juliette’s), I place all of the ends in a jar to refrigerate and use later in a stir fry, egg scramble or fresh salsa and just use the beautiful center part of the tomato for drying. Each pear tomato produces two of the slices you see on the tray. Do not cut them less than 1/4″ thick or they will be like paper. This size of dried tomato works very well in a trail mix – one of my husband’s favorite ways to eat them – as well. These tomatoes are cut completely raw – no blanching, no dipping in lemon water – and preserve beautifully. They would also look great in a bottle of olive oil next to the stove. Nifty unique gift idea, maybe? Just make sure your dried rounds are completely submerged in the oil and that there are no air bubbles (I tap the bottle gently on the counter to raise bubbles much like you do a cake batter or canning jar). Tomatoes are good for you, you know! 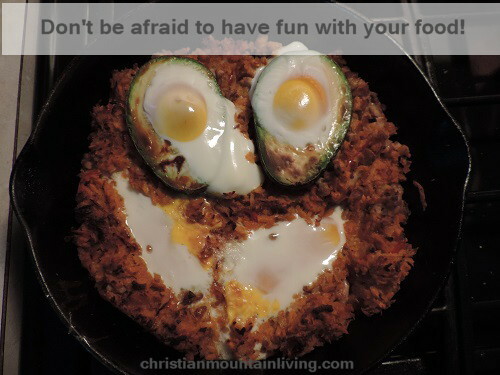 Our family believes in the importance of eating healthy, whole foods the Lord has provided for our nourishment and well being. We grow as many of our own fruits and vegetables as we can and purchase many items through a local online “farmer’s market” where local vendors sell everything from homemade laundry soap and lip balm to meat, vegetables, fruit and bread. What a gift to be able to not only support our local growers and producers, but to know where these items came from and who made or grew them! Here on Mt. Snowberry, we drink raw milk, make our own butter, yogurt and soft yogurt cheeses – and we grow our own horseradish, garlic and herbs, as well as plums, apples, cherries, blueberries, black currants, blackberries, apricots and summer vegetables. 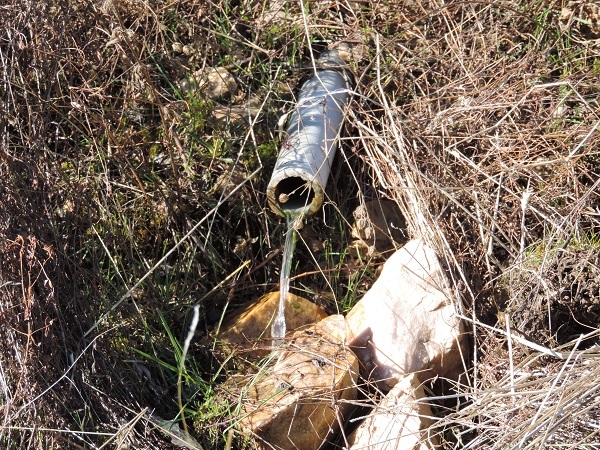 No, we don’t have a cow – we buy local raw milk. 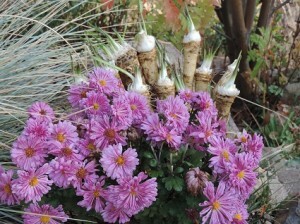 No, we don’t have a big “garden” – we grow foods among the flowers in our rock gardens. 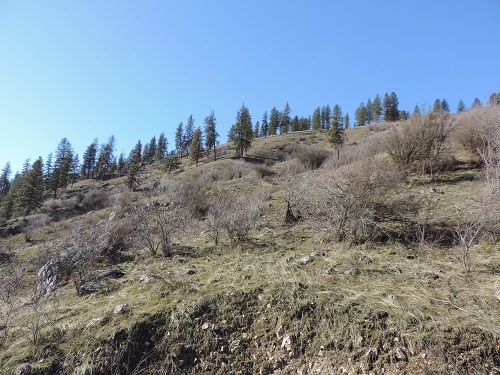 Yes, we breathe fresh mountain air and enjoy the peace and solitude of our perch on the side of a hill overlooking one of the most beautiful little farming and ranching valleys in America. We are looking forward to providing tips and recipes for food growing, preparation and preservation that may help you maintain better health. There are no doctors in our house, and nothing you read here should be interpreted by you as medical advice. All health decisions should be made based on your own understanding of health issues and potential treatments, whether you visit a traditional medical doctor or a naturopath – or none at all.